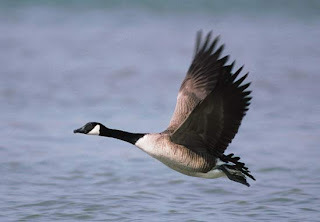 True Wild Life | Goose | A goose is a medium to large sized bird found in Europe, Asia and North America. There are around 29 known species of geese around the world including Canadian geese and Snowy geese. Geese mate and build their nests in order to raise their baby geese (known as goslings) in the north during the warmer summer months and the geese then migrate south in the winter to the warmer climates when the baby geese are strong enough to fly. Geese tend to have the same mating partners for their entire lives, and if not all of it then most of it. The bond between male and female geese partners is very strong and they will often spend most of their time together with both the male goose and the female goose building the nest and raising their young. Geese are omnivorous birds but mainly feed on insects, grubs, small fish and plankton in the water. Geese spend a great deal of time on the water and have special adaptations such as webbed feet which make their aquatic life easier. Geese have a number of natural predators although, due to the size and strength of a goose, predatory animals don't always have an easy time if they fancy goose for dinner. The main predators of the goose are foxes, wild dogs, raccoons and birds that predominately prey on the goose eggs and newborn baby geese. Humans are among one of the most common predators of geese, as geese are hunted all around the world for their meat and feathers. Geese are strong and hardy birds and are known to get to old ages, even in the wild. The average lifespan of a goose is between 20 and 30 years but a number of geese individuals have been known to live for much longer. Geese are known to have extremely strong wings as they migrate long distances every year to the warmer climates. Due to the fact that the wingspan of a goose is so large (normally one and half times the size of the goose's body), and the wings of the goose are so strong, a goose is known to be able to inflict severe damage to humans should it become threatened or annoyed! 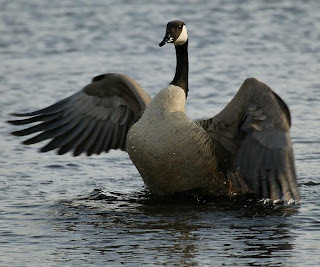 Not only do geese flap their wings to intimidate unwanted company, but they are also known to make a loud hissing noise. If these methods of defence fail, it is not uncommon for a goose to simply charge at the intruder hissing and flapping it's wings all at the same time. 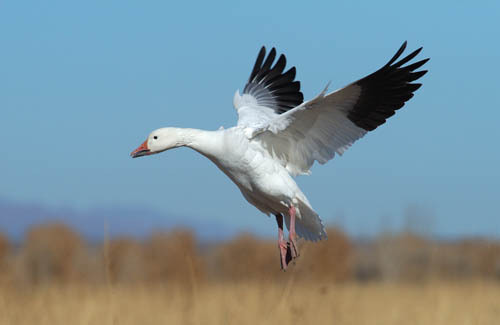 The term geese is normally used to refer to these birds in general, but more particularly a female. 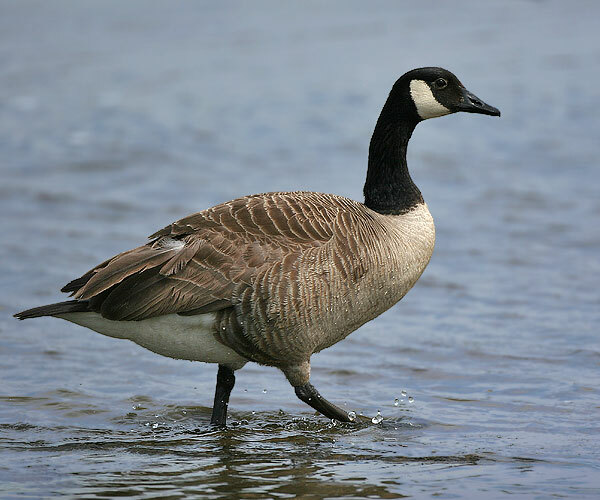 The term gander is generally used to refer to a male. The baby geese are referred to as goslings and a group of geese on the ground is called a gaggle with geese flying in formation being called a wedge or a skein.